The April 26 show featuring the Stray Cats' Lee Rocker will take place in the Chalberg Theatre on the Brainerd campus of Central Lakes College. This is a change in venue from Tornstrom Auditorium. Patrick Spradlin, Central Lakes Community Performing Arts Center Director, announced the switch in venue. "People currently holding tickets will be contacted about their seating preference in the new venue," he said. "The day and time, Friday April 26 at 7:30 p.m., remain unchanged." 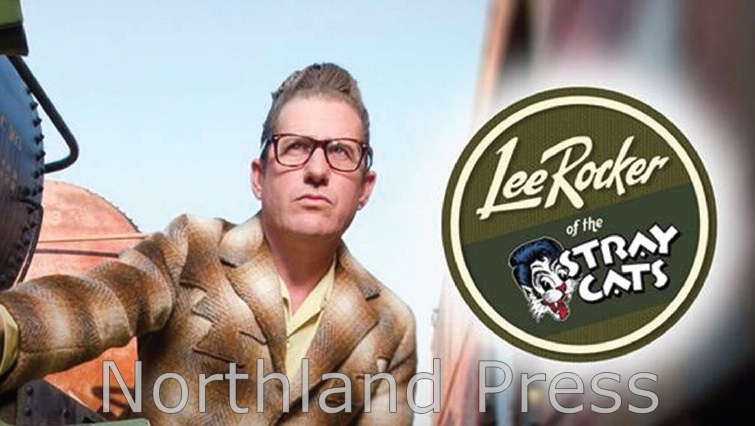 A true icon of modern popular music will take the Tornstrom Auditorium stage on April 26 when the Central Lakes Community Performing Arts Center presents Lee Rocker. The show, part of the Center’s Cultural Arts Series, kicks off at 7:30 p.m.
“To have someone of this caliber, who has been a rock legend on an international scale, is really incredible,” says Series Producer Patrick Spradlin. “We’re really fortunate to bring someone of this stature to the area." Rocker describes his introduction to the world of rock ‘n roll: “At 16 years old I got myself an upright bass fiddle and I started a band. We would practice in my dad's garage next to the Old Delta 88. We would play until my fingers bled. I didn't mind one bit. The music hasn't released me yet and I know it never will. In the summer of 1980 the band moved to London and we called ourselves the "Stray Cats". I got to say it’s been one a hell of a trip.” In addition to his work with the Stray Cats, Rocker has recorded or performed with Carl Perkins, George Harrison, Ringo Starr, Willie Nelson, Leon Russell, Keith Richards, John Fogerty, and Scotty Moore. Rocker was nominated for a Grammy Award in 1982, as was his father. They are the second father-son duo to be nominated for a Grammy in the same year. He is considered to be one of the most influential upright bassists in rock ‘n’ roll. He continues to create new music, including his 2011 ‘The Cover Sessions’ EP, which put his Americana twist on classic 1970s radio hits; and 2012’s ‘Night Train to Memphis,’ an album he characterizes as “the soundtrack of my life” filled with classic rockabilly done like only Rocker can. The concert is sponsored in part by Tito’s Handmade Vodka. The season is made possible in part by the voters of Minnesota through a Minnesota State Arts Board operating grant, thanks to a legislative appropriation from the Arts and Cultural Heritage Fund.